Prof. Dr. Daniel J. Lang (project speaker): Professor of Transdisciplinary Sustainability Research. Prof Daniel Lang has been professor of transdisciplinary sustainability research at Leuphana University Lüneburg since 2010. His research interests include the development of the theoretical, methodological as well as procedural foundations of sustainability science and the cooperation and mutual learning between different scientific disciplines and between science and society. Prof. Dr. David J. Abson: Junior Professor Sustainability Economics. Dave Abson is a junior professor in sustainability economics and assessment, with a particular focus on ecosystem services and food system sustainability. His research interests include the integration of social and natural science perspectives on sustainability issues within the context of multifunctional agro-ecosystems. Prof. Dr. Joern Fischer: Professor of Sustainable Landscapes. Prof. Joern Fischer has been professor of sustainable landscapes at the Institute for Ecology at Leuphana University Lüneburg since 2010. His interdisciplinary activities combine landscape ecology, research of ecosystems and biodiversity as well as ecosystem services. Prof. Dr. Julia Leventon: Senior Researcher Sustainable Development. 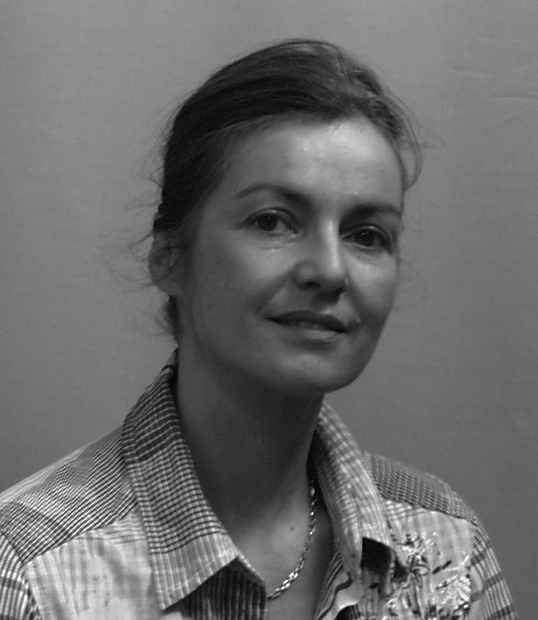 Dr Julia Leventon has been a senior researcher in Sustainable Development at Leuphana University Lüneburg since 2014. Her research interests include multi-level governance, policy formulation and implementation and natural resource management, including forestry and agriculture. Prof. Dr. Jens Newig: Professor of Governance and Sustainability. Prof. Jens Newig has been professor of governance and sustainability at Leuphana University Lüneburg since 2010. His reseach interests include societal transitions to sustainability; environmental politics, policy and governance for sustainable development and participatory governance and collaborative decision processes. Prof. Dr. Thomas Schomerus: Professor of Public Law, in particular Energy & Environmental Law. Prof. Thomas Schomerus has been professor of public law at Lüneburg University since 1996. His research interests include renewable energy law, energy and resource efficiency, information law and waste legislation. Prof. Dr. Ulli Vilsmaier: Professor (Juniorprofessorin) of Transdisciplinary Methods (primary affiliation is with Leuphana’s Centre of Methods). Prof. Ulli Vilsmaier has been professor of transdisciplinary methods at Leuphana University Lüneburg since 2011. Her research interests include the epistemological and methodological foundations and methods of inter- and transdisciplinary research. Application areas include regional development, energy regions and regional climate adaptation processes. Prof. Dr. Henrik von Wehrden: Professor (Juniorprofessor) of Natural Science Methods (primary affiliation is with Leuphana’s Centre of Methods). Prof. von Wehrden has been professor of natural science methods at Leuphana University Lüneburg since 2010. His research interests include statistical analysis at multiple spatial scales, nature conservation and ecosystem services. Lotte Lutz is an interdisciplinary researcher focusing on renewable energies in local and regional settings. Since 2016, she is part of the Leverage project as scientific project coordinator. Anne Jo is a biologist, an oceanographer and a professional trouble-shooter in project management. She has a special interest in mechanisms of discontinuities and turning points. She is fond of things that occur at borders of systems. Since mid-2018, she is part of the Leverage project as scientific project coordinator. Liz Clarke is a transdisciplinary researcher and practitioner with interests spanning complex integrated systems, sustainability science, and research-policy engagement in development. Since joining Leuphana University in early 2017, she is working on knowledge co-production for sustainability transformation. Moritz Engbers is a researcher on transdisciplinary projects and case studies at Leuphana University since 2013. His research interests include the design and implementation of transdisciplinary case studies, intercultural communication, mutual learning, and cooperative methods. Nicolas Jager has been a researcher in governance and sustainability at Leuphana University since 2011. His work focuses on multi-level and participatory governance, natural resource management, and social science research methods. Dr. Andra Ioana Horcea-Milcu is a postdoctoral fellow at Leuphana University Lüneburg since 2015. Her research interests include transformational sustainability research, transdisciplinarity, ecosystem services, and human-nature relationships. Dr. Maraja Riechers begun to work at the Leverage Points project in 2016 with the focus on human-nature connection in the context of sustainability transformations. With a background in social sciences and human ecology, her research interests include the social dimensions of ecosystem services, biodiversity and human wild-life conflicts. Cristina Apetrei studied Sustainable Development at Utrecht University. Most of her experience is with food security issues and climate change, while her theoretical interests are in complex system science, behavioural economics, transdisciplinarity and worldview based approaches. Within leverage points she is studying the role of knowledge in fostering sustainability transformations, from a decision theory and system thinking perspective. Pim Derwort has been a PhD candidate at Leuphana University since October 2015. Having previously completed a BA in European Studies, MA in Development Studies and MSc in Sustainable Development, his research interests include multi-level governance, environmental policy & politics and energy policy. Christian Dorninger has been a PhD candidate since October 2015. He has a background in social ecology and international development. His research interests include the development and application of methods of human-nature interaction, the sustainability transformation, resource use and decoupling, a biophysical perspective on trade relations, teleconnections and ecologically unequal exchange. Ioana received her BA degree in Political Science and an MSc in Research Design and Data Analysis in Social Sciences at Babes-Bolyai University, in Cluj-Napoca, Romania. Her research interests include policy and governance for sustainable development, institutional interplay, behavioral change and rational choice theory in food systems. Rebecca Freeth has been a PhD candidate at Leuphana University since December 2015. Having worked as a development practitioner and dialogue facilitator in South Africa ,Rebecca’s research interests include the future of food systems, patterns of land ownership, co-production of knowledge and reflexive research practices. Her research interests include pro-environmental behavior, social marketing for sustainability, organizational sustainability, and environmental values,attitudes, and perceptions. David Lam has been a PhD student since August 2016. His research focuses on the transferability and scalability of the transformational impact of sustainability initiatives. Before starting his PhD, David Lam studied Environmental Studies and Sustainability Science at Lund University and worked for three years as a corporate responsibility consultant for companies, federal ministries, and NGOs. Originally trained as a product designer, Daniela is now working as a design researcher since 2010. Her work focuses on designerly knowledge production and transdisciplinarity. She conducts her PhD at Leuphana University Lüneburg on the role of design in transformative research. Annelie Sieveking (MSc): PhD researcher institutional dynamics in sustainability transformation (Law and Governance). Annelie Sieveking has worked as a researcher at Leuphana University of Lüneburg since December 2015. She holds an MSc in sustainability science and a BA in political science/educational science and has a professional background in education for sustainable development. Her current research interests include the role of institutional settings, social innovations, and societal values in the context of transformation towards sustainability. In her PhD project, she investigates food policy councils as potential levers for sustainability transformation.